Annual D-STAR QSO Party is this weekend! Join Icom for the biggest D-STAR QSO Party of the year. Communicate through as many D-STAR repeaters as possible, all around the world. Operators who submit an approved log will be eligible to win an IC-R30, among other great prizes! Click the image below and find out how you can be one of 16 lucky winners! 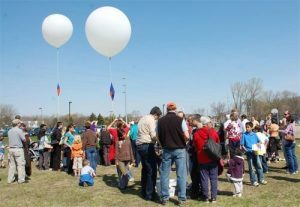 Richard Stember, Executive Director of the local non-profit organization Science Heads, will be giving a summary presentation about their High Altitude Balloon (HAB) / Student Experiment Project launch this past April AND the upcoming launch in November. Local Middle and High School students will be designing and building experiments to be carried to ‘near space’ as part of the non-profit’s support for STEM education. Aboard the payload will be a dedicated 2M APRS transmitter which will provide GPS coordinates and telemetry data. Richard will also discuss the ways local HAMs can help with this initiative and inspire young minds to dream big. SOARA T-Hunters were involved in the last recovery effort and will be asked to participate in the upcoming recovery effort. The addition of a drone operator or two and maybe adding SSTV to the payload may be up for discussion as well. Ham Radio Examinations will be administered at 6:00 PM, prior to the start of our general meeting. Cost is $15/attempt. Pre-registration is not required and you don’t need to be a SOARA member to take the test. All are welcome to join SOARA at the Norman P. Murray Center in Mission Viejo, CA on Monday, 8/20 at 7:00 pm for our General Meeting and annual Tech Fair. 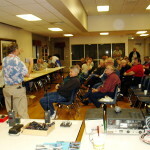 The SOARA Fair is held once a year during the August general club meeting where club subject matter experts will hold “mini-seminars” on a range of Amateur Radio and electronic topics. The mini-seminars are held informally and you can rotate from seminar to seminar. Jimmy KK6TTL – 10-Band HF QRP radio design and a 2-Watt HF beacon design. Garren KB6FAS – Power Supply load testing. Bring your power supply to the fair and see what it is doing … or not doing. Robert KE6BLR – Space Communication: connecting to the ISS, pSat and pcSat via APRS with a home brew az/el with the Arrow II antenna for 2 Meters. Battery Box Table – Talk with various builders about their versions of homemade Battery Boxes. If you have a unique or really cool battery box; put your call sign on it and bring it in. This FREE event is open to the public. It is always fun, informative and well received by all! Also, if you have a pet Tech project and wish to share it with fellow members, please contact us now so we may reserve you a location in the room! Join us at the Norman P. Murray Center in Mission Viejo, CA on Monday, 7/16 at 7:00 pm for our next General Meeting. Our July Guest Speaker will be Carl Gardenias, WU6D, ARRL Orange Section Manager. Carl will be speaking about the news from the ARRL Orange section, Southwest Division, and the National organization. Come to learn about the latest directions and events in amateur radio with a focus on new items associated with ARES. We can almost guarantee that we will also see Cathy Gardenias, K6VC fielding questions about the administrative side of the Section, and the National as well. They are always very interesting speakers, so come and learn about the ARRL and what’s going on. To learn more about ARRL Orange Section, Click Here. It’s June!!! This month we have a lot of really great speakers for our monthly meeting, YOU!! We need YOU to come this months’ meeting and SPEAK up as to what part of Field Day 2018 you are able to be a part of. We will need operators for the various stations. We will need people for setting up on Friday and tearing down on Sunday. We need people to help with Saturday activities and there’s a lot going on. We will need several people to help do some cooking (WHAT!?) Yes, cooking and not pointing to your XYL (wife for the newbies). In all seriousness, you can see there are many positions to fill and things to accomplish in order for us to have a successful Field Day 2018 and we can’t do it all without YOU. 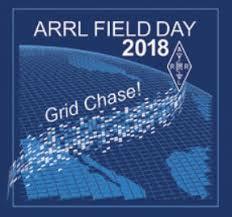 Whether you have been a seasoned HAM for 20 years or have only been a HAM for 20 days, we highly recommend you attend this meeting and help FINE TUNE our plans so that we can all enjoy Field Day and demonstrate to our neighbors and the community what Amateur Radio is all about. Hope to see you all there. All are welcome to attend our SOARA Spring Auction on Monday, May 21 at the Norman P Murray Center in Mission Viejo starting at 7pm. We are expecting more gear than usual and there should be some nice items for new and experienced hams looking for a bargain. Don’t miss out on what promises to be an exciting spring auction. For detailed information and rules of the SOARA live auctions, click here. Also, our regularly scheduled FCC licensing examinations will occur at 6pm prior to the general meeting and auction. In addition to being our SOARA president, Ray Hutchinson (AE6H) is being recognized by OC Fire Watch for his drive and energy towards the Fire Watch mission. Ray is a Fire Watch Team Leader in the Orange County Fire Watch program with over 200 volunteer hours. As a retired OCFA Fire Captain, Ray frequently assists with Fire Watch training and shares his knowledge of fire behavior, emergency response and amateur radio communications with fellow volunteers. He deploys for the Fire Watch program during Red Flag Warning days and even does double duty by acting as Net Control Officer while on Fire Watch. Throughout the year he shares Wildfire Awareness messaging and recruits potential volunteers at outreach and amateur radio events. The Fire Watch program appreciates Ray’s time and commitment to fire prevention for Orange County’s parks, roadsides and open spaces. Please congratulate Ray when you see him!